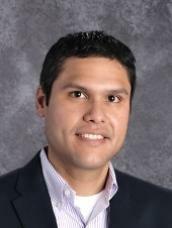 My name is Cesar Hernandez I am a Bilingual Generalist EC-6 certified teacher with a Masters degree in Educational Administration. Currently, I am the Grand Prairie Campus Principal. I am looking forward to supporting and collaborating with the teachers, students, parents, and the community members to foster a school environment where students feel safe, appreciated, and valued and can develop their academic, personal, and professional skills. I have an open door policy, so I encourage you to come and see me if you have any questions, concerns, ideas, or opinions you want to share. I strongly believe that communication is a key component of students' academic success.